Do you think of yourself as a Google user? Well, think again .. to Google YOU are the product! With pretty much all of Google’s revenues coming from its Pay-Per-Click program Google is an advertising company selling you to its customers – the advertisers. Google’s model is to sell (your) clicks on sponsored ads. The company sells more than one thousand of these actions per second. With the cost per click hovering around $1 Google made more than $1,000 in revenue per second which translates to more than $4.3 Million per day or close to $40 Billion for 2011 (see Google’s Income Statement). The more qualified the product (YOU) the more Google can charge to its clients. Fun Fact: The top pay-per-click term ‘auto-insurance-price-quotes’ generated almost $55 per click in 2011. In 2011, 96 % of Google’s revenue was derived from its advertising programs. For the 2006 fiscal year, the company reported $10.492 billion in total advertising revenues and only $112 million in licensing and other revenues. Google has implemented various innovations in the online advertising market that helped make it one of the biggest brokers in the market. Using technology from the company DoubleClick, Google can determine user interests and target advertisements so they are relevant to their context and the user that is viewing them. 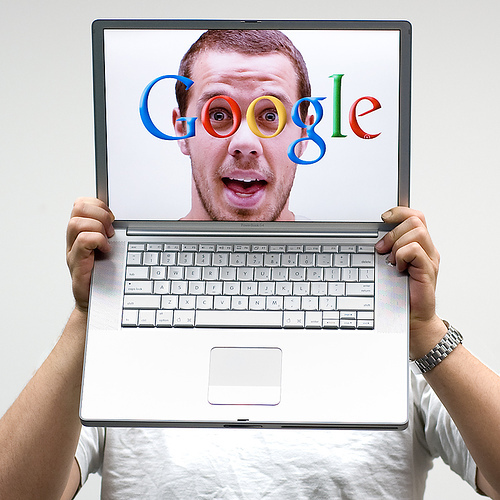 Google advertisements can be placed on third-party websites in a two-part program. Google’s AdWords allows advertisers to display their advertisements in the Google content network, through either a cost-per-click or cost-per-view scheme. The sister service, Google AdSense, allows website owners to display these advertisements on their website, and earn money every time ads are clicked.